We were asked to create a desserts table for a special little girl's Christening. The theme was our own choice...lets get pinning! 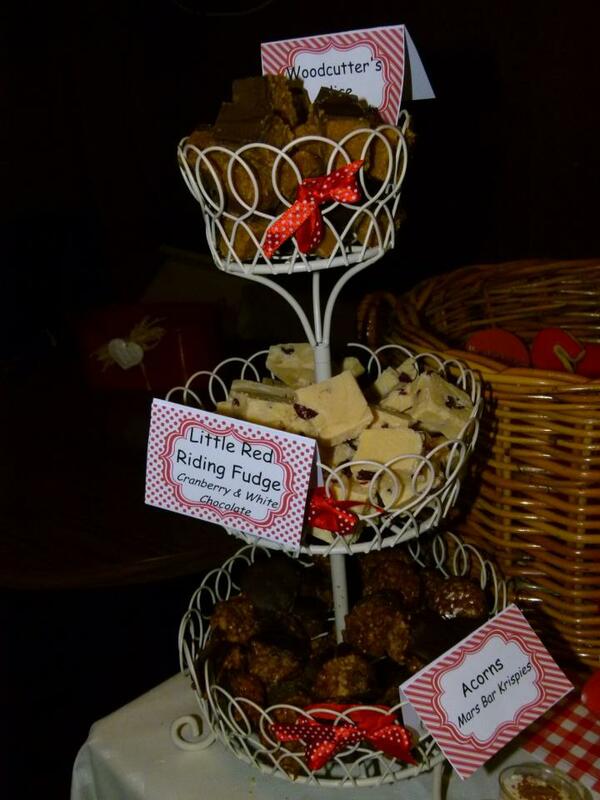 Princesses and pink were out - not that sort of girl...so we decided on Little Red Riding Hood. 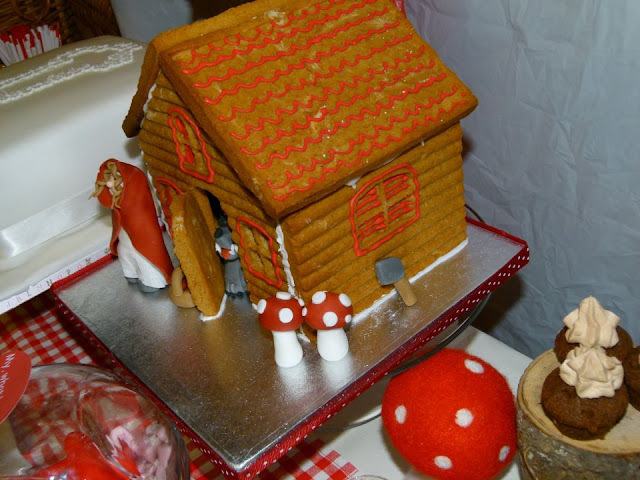 Woodland theme is something we have wanted to do for a while - we love a toadstool! What Little Red Riding Hood table wouldn't be complete without Granny's house? :) You know about my love for gingerbread. 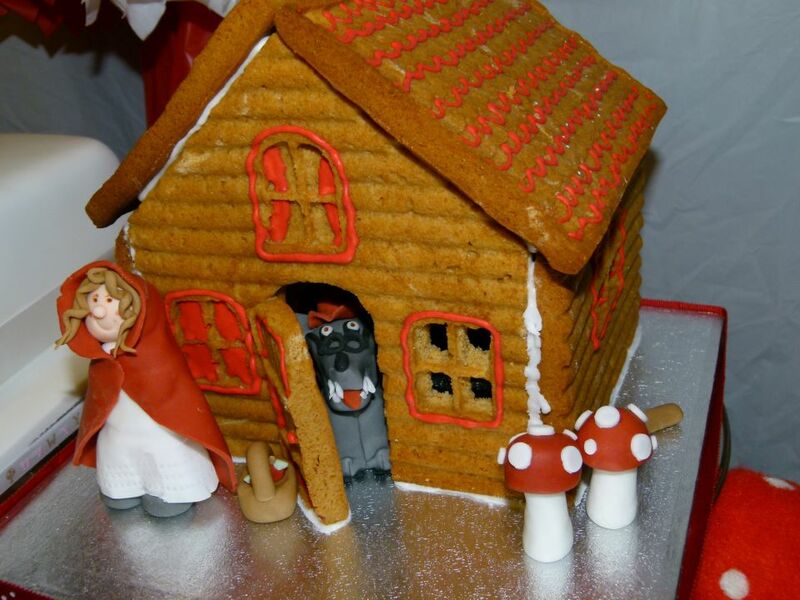 We made little red out of fondant and the wolf hiding behind the door. Also some little fondant toadstools. 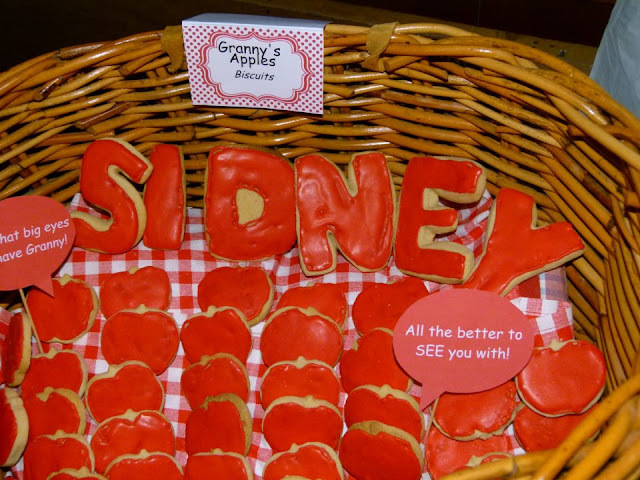 Apple shaped biscuits made from my Easter biscuits recipe however I used royal icing sugar this time - I thought this icing was better and so simple - just bought the box of royal icing sugar and added water and food colouring. 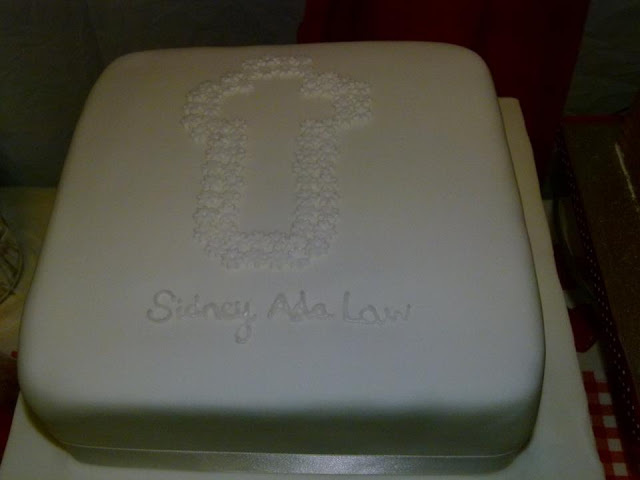 It dried really hard and tasted great. 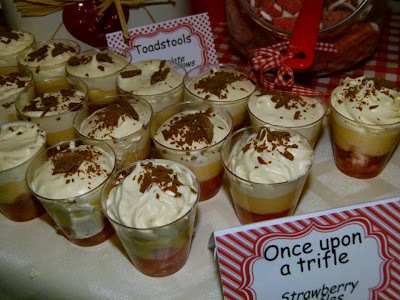 miniature strawberry trifles - so cute! A trio of traybakes - "Little Red Riding Fudge" white chocolate and cranberry fudge, mars bar Krispie "Acorns" and "Woodcutter's Slice" ginger traybake. 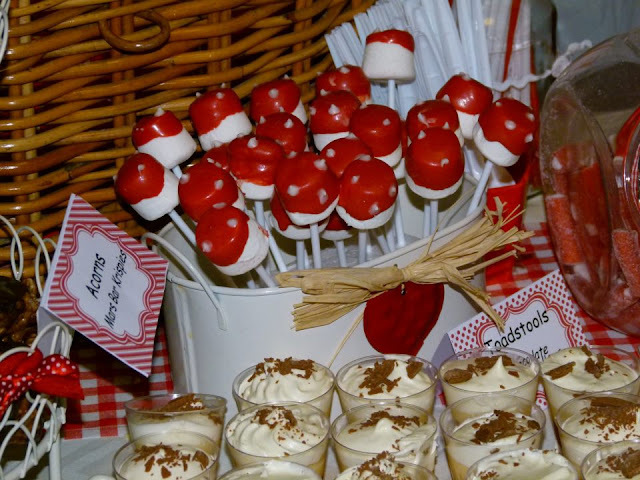 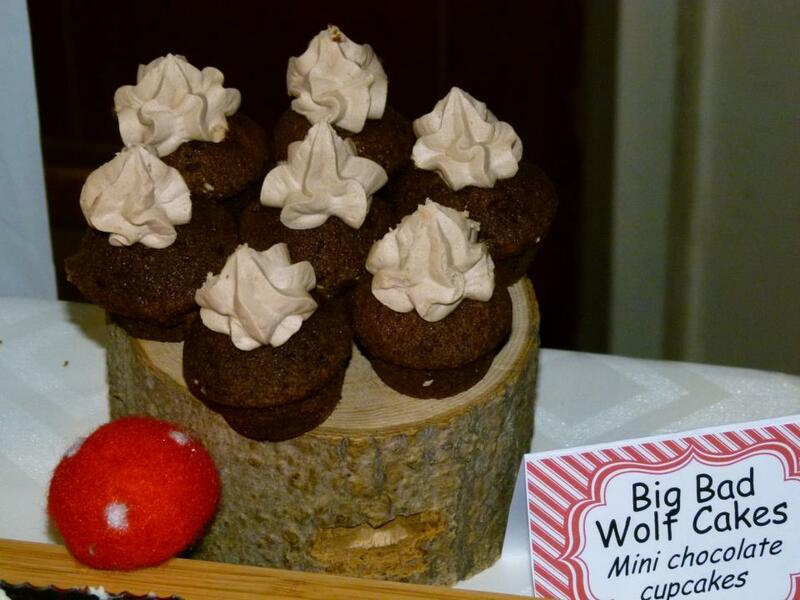 Red and white themed table including Red Riding Hood Cheesecakes, chocolate finger "chopped logs" and chewy teeth shaped sweets "My what big teeth you have!".... "All the better to EAT you with...."
The Christening cake we kept traditional and didn't follow our sometimes gaudy tendencies. 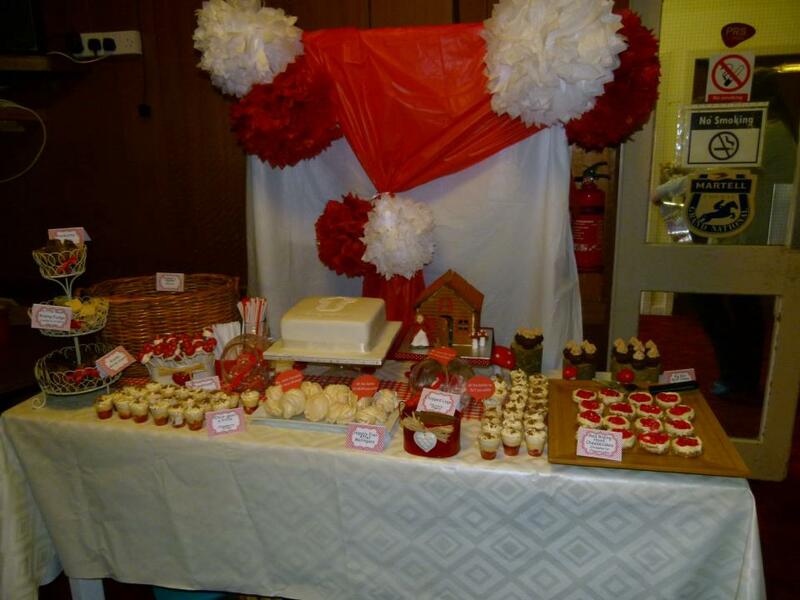 We think it worked very well being all white and didn't look out of place on the red and white table.